Imagine being unable to control your own body. In your mind, everything is exactly like it was; but your brain seems to have forgotten how to tell your body to do everyday tasks like tying up shoes or using a toothbrush. This is how it feels to live with Parkinson’s. A real challenge for the 10 million people diagnosed with Parkinson’s around the world. Parkinson’s is a progressive neurodegenerative disease – an illness that affects nerve cells in the brain. For those who live with these symptoms and for their families, Parkinson’s means much more than just physical symptoms: it also means a loss of their independence. 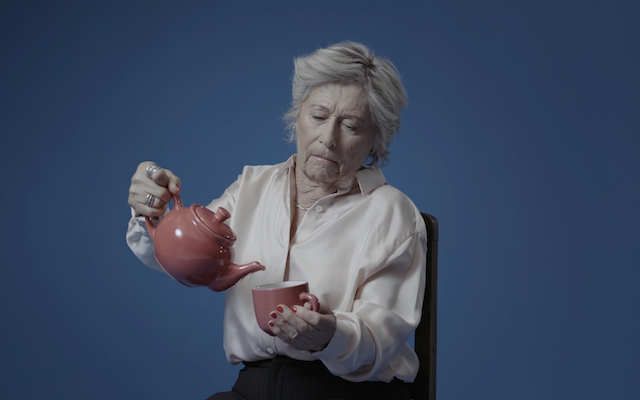 In order to raise awareness and help people keep their self-esteem, people with Parkinson’s were invited to star in a video that shows them at their best by focusing on what they can do instead of what they cannot do. Buttoning up shirts, putting on make-up, tying up shoes or even dancing and playing musical instruments. Simple, everyday tasks alongside a cheerful, feel-good tune developed specially for the campaign. The campaign launches worldwide today – on World Parkinson’s Day – and is featured on Bial’s website, across Bial’s social media and on the European Parkinson’s Disease Association’s social media channels too. This article is sponsored by Bial. The information in this article is given for information purposes only and does not represent an endorsement by the EPDA of any particular treatments, products or companies. This article is not a substitute for advice from your doctor, pharmacist or other healthcare professional. Parkinson’s Life makes no representations or warranties of any kind, express or implied, about the completeness or accuracy of information provided. Founded in 1924, Bial’s mission is to discover, develop and provide therapeutic solutions within the area of health. In recent decades, Bial has strategically focused on quality, innovation and internationalisation. Bial has channelled more than 20% of its annual turnover into research and development within neurosciences and the cardiovascular system. In 2016 Bial launched Opicapone for Parkinson’s disease. Already available in Germany and in the United Kingdom, it will be introduced in the remaining European countries throughout 2017. Currently representing around two thirds of its turnover, Bial will continue to strengthen its international presence based in its own innovative medicines, particularly in the most important European pharmaceutical markets, Spain, Germany, United Kingdom and Italy, where the company is already present with its own affiliates. For more information about Bial, please visit www.bial.com.